Manufacturing, Trading, Importer and Exporter of Electronic Weighing Scales and Systems. Established on February 2, 1996, we, Essae Digitronics Pvt. Ltd., are engaged in manufacturing, supplying and exporting a gamut of Electronic Weighing Scales and Systems. We are a part of Essae Group of Companies along with other sister concerns. 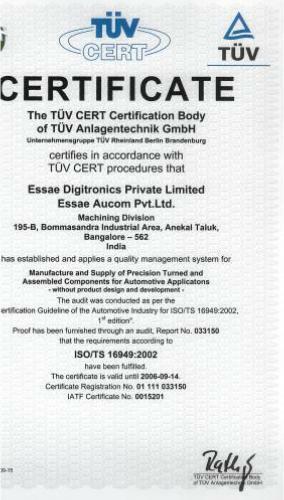 The organization is ISO 9001 certified since April 2000 and has also been certified with ISO/ TS 16949:2002 for Automotive Business since October 2003. Essae group is the conglomerate of six business divisions. We provide high quality products for the automotive & transportation sector and are one of the largest suppliers in India. Our organization specializes in offering OEM products to major automobile companies of India. 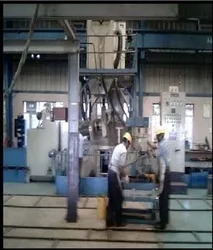 These products are precision engineered in our manufacturing units that have high production capacity. 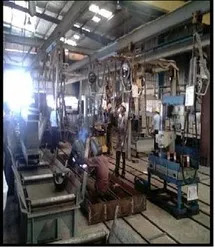 We have a modular production system in our manufacturing units that help in fast and systematic process along with improved productivity. 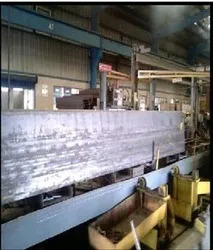 Our manufacturing unit has implemented a concept of process ownership, in which a single operator is responsible for process set up, the fabrication of the products and the final inspection. Owing to all these practices and adherence to strict quality policies, we have been able to make a mark in this industry. We have spread our ventures all over the Indian Subcontinent with some of the major clients as TVS Motor Company Limited, Mahindra & Mahindra Ltd., Honda Motorcycles & Scooters, ITTI LLC, USA, World lines LLC, USA, Suzuki Motor Company and Kinetic Motors Limited. 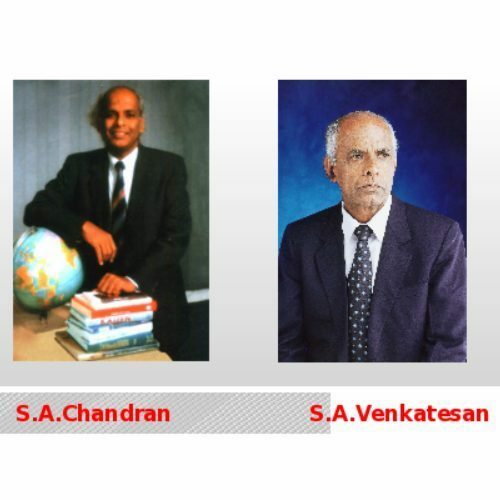 Our organization has witnessed phenomenal growth in every aspect of business under the able leadership of our Managing Director, Mr. S.A.Venkatesan. He has been associated with our organization for many years and has focused on achieving the organization goals and objectives. Along with our MD, our Board of Directors is also the guiding force behind the success of our business processes in India and in the Indian subcontinent. 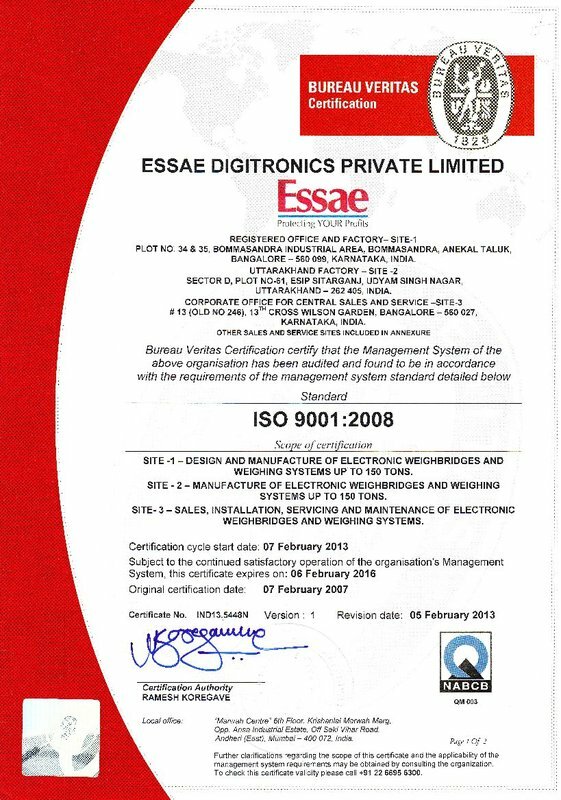 7 units are certified for ISO 9001:2000. 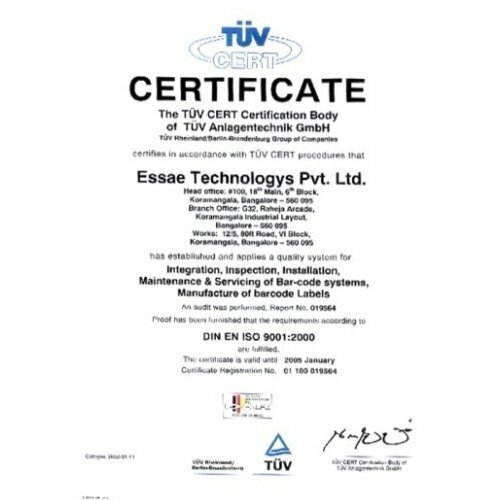 10 of 11 manufacturing units in Essae Group are certified for Quality Management Systems. 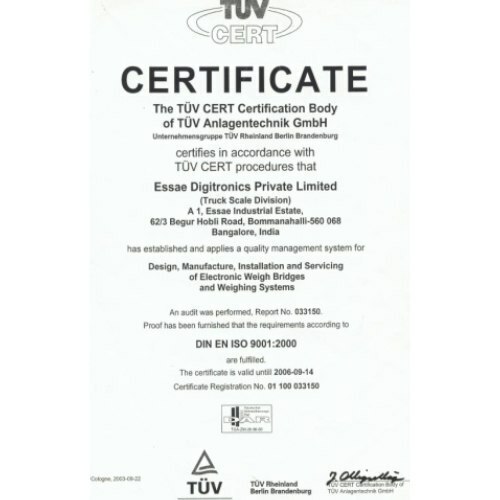 3 units are certified for ISO/TS 16949 : 2002. “Excellence is defined as perfection with acceptable blemishes." We, at Essae Digitronics, not only believe in Excellence, but also want our organization to be synonymous with it. It is definitely more than a coincidence that both Essae and Excellence begin and end with the letter 'E'. Essae for Excellence will remain a slogan on the wall if we do not internalize the meaning of excellence and institutionalize the means to achieve it. We have continuously strived to bring in the best technology into our products. 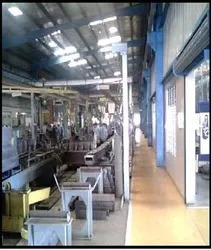 We have adopted world-class production technology to manufacture our products. The Essae Group has 10 manufacturing units in Banagalore, Pondichery and Goa along with 68 marketing outlets all across India. We also have a training institute, the Essae Chandran Institute, where education on total quality management is imparted. All our group companies have state-of-the-art facilities and international networking so that vital information and knowledge can be shared. 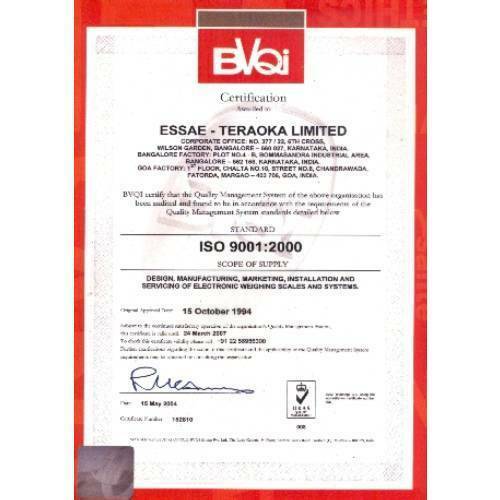 Moreover, all our group companies are ISO 9001 certified. The Corporate philosophy of Essae Digitronics is based on time-tested value systems. Our professionals are highly knowledgeable and strive to keep themselves updated on the latest technologies. 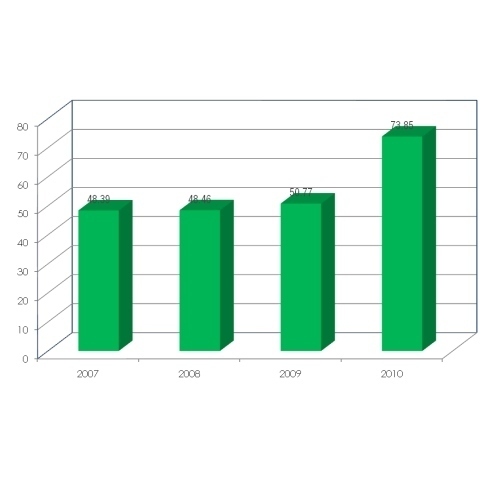 They incorporate their knowledge and industry experience in the business processes. Their coordinated efforts and systematic approach enable us in completing the assigned task within the set deadlines. We impart them with time to time training in our institute to upgrade their skills and knowledge about the latest technologies. All these practices add value to our organization. Mr. S.A.Chandran is recipient of National Bajaj Auto Award for the Best Quality Man in the year 1982.